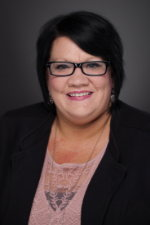 Tabitha began her career with Tangram in March of 2000 as a direct support professional in the Greenfield area. Her ability to manage staff in an effective manner while supporting our clients in the best ways possible led to her promotion to the position of program manager in 2012. She began overseeing additional waiver sites in 2015. Tabitha focuses on building and maintaining relationships with clients and their support teams to ensure the highest level of service and the best quality of life for the individuals she serves. In her role as assistant director of operations, she provides support to program managers and is responsible for overseeing the services for more than 40 clients. In her personal life, Tabitha enjoys spending time with her son and family.